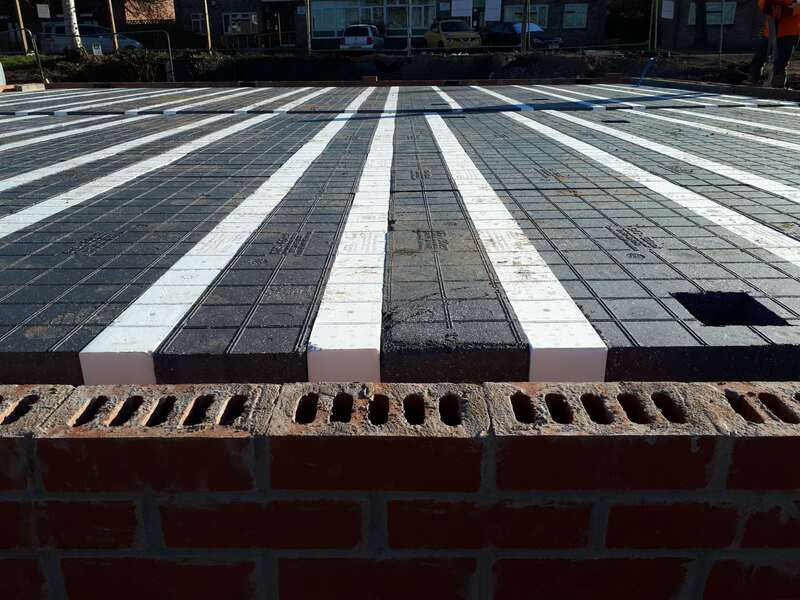 The Thermal Gdeck and Tdeck Panels are moulded from lightweight closed cell expanded polystyrene (EPS) and are designed to suit existing pre-stressed beam profiles. Tdeck insulates below the beam and the new patent protected Gdeck above the beam system is available in both R1 and R2 variants. 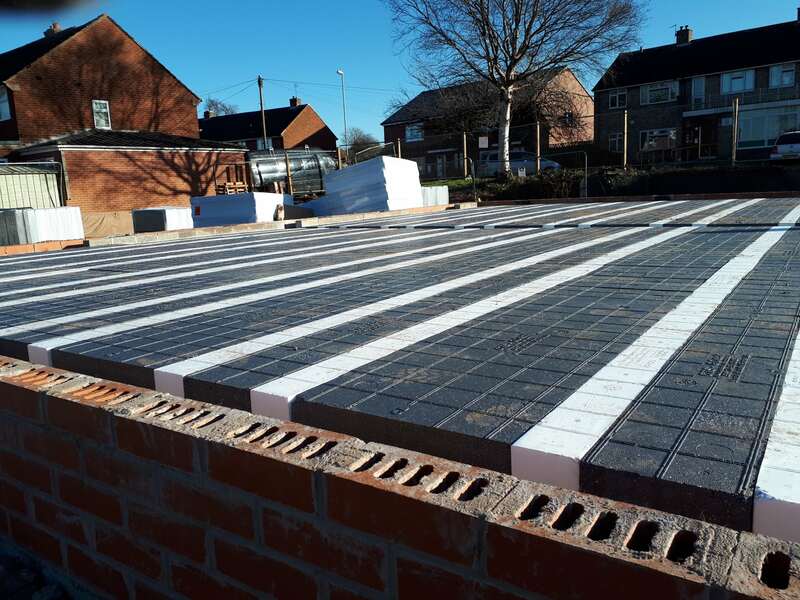 They are used in place of standard building blocks between the floor beams and as the insulation value is more than three times better than even the most efficient lightweight thermal block, no further insulation is required in the floor structure. The panels are very easy to handle and their design facilitates very easy installation. Our panels in conjunction with pre-stressed concrete beams provide excellent insulation properties, with ‘U’ values of 0.08W/m2K or less being achievable, dependent on floor area and perimeter of the dwelling. The systems come with BRE and/or KIWA/BBA approval and meet the requirements of Code Level 6.